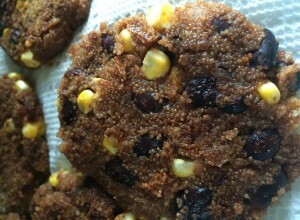 These vegan Mexican Bean Patties are a great source of dietary fiber from whole grains, beans and corn. They can be served hot or warm temperature over a cold salad, rolled up in a corn tortilla or thicker patties can be made for a burger substitute on a toasted bun. A nice summer combination is to serve it over coleslaw the crunch of the salad mingles well with the crispy patties and the little bit of heat in the patties is mellowed by the sweet cabbage. Combine all ingredients and form into patties, thin if you want a crispy texture, thicker for a burger substitute. Pan fry on medium heat in a very lightly oiled non-stick pan. Cook diced onion in 1 tsp. olive oil over low heat until wilted and translucent, add garlic and stir, add olive oil, sugar, and vinegar heat to simmer and turn off heat. Add parsley to shredded cabbage and then pour the warm dressing over top. Toss to cover completely, salt and pepper to taste. Allow the mixture to sit for at least 1/2 an hour before serving or cover and refrigerate for up to 5 days. Allow the salad to come to room temperature or serve cold.